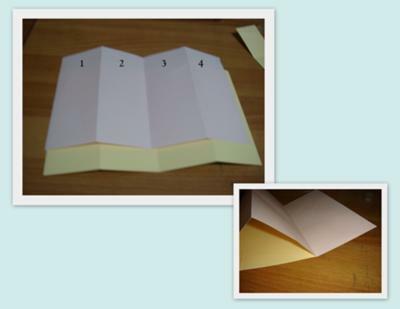 Score the pink and yellow papers into four equal parts (as shown in 2nd photo). Unfold. You now have 1, 2, 3, 4 parts. Put the two papers back to back, in such a way that the scored lines between 2 and 3 are far from each other. Glue together the 1’s of the two papers. Also glue the 4’s. Cut a rectangle from white card stock. The rectangle should be smaller than the two other papers. Draw a vertical line at the center of the back of the white card stock. This vertical line will be aligned with the scored line between 1 and 2. 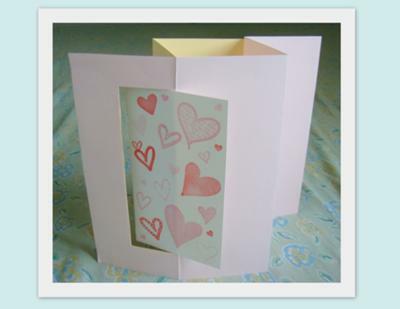 Glue the left side of the white card stock onto the pink card. 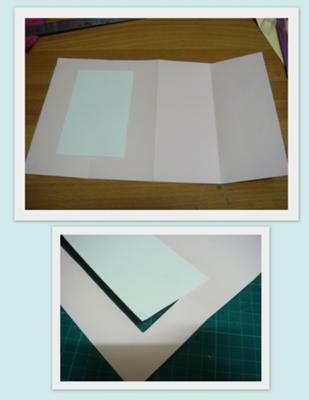 Now, use the glued part of the white card stock as your mark in cutting the half of the rectangle. The paper should now look like this when closed and opened. 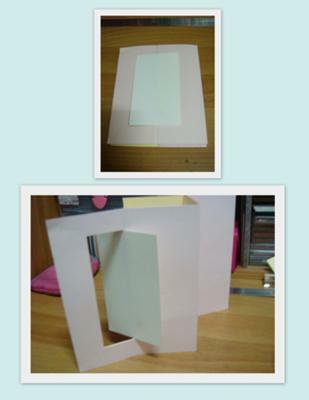 The white card stock should flip whenever you open or close it. Stamp hearts all over the white card stock. I used varying shades of pink and red. More projects on my blog, Publicly Private.